PikaGirl is an advanced Discord Bot with a wide variety of features to fulfill everyone's needs. PikaGirl's features include cleverbot, GIF searching, a global economy with a full idle game, lookup commands for Overwatch, Minecraft, and Osu, image/meme generator commands, NSFW commands and so much more! 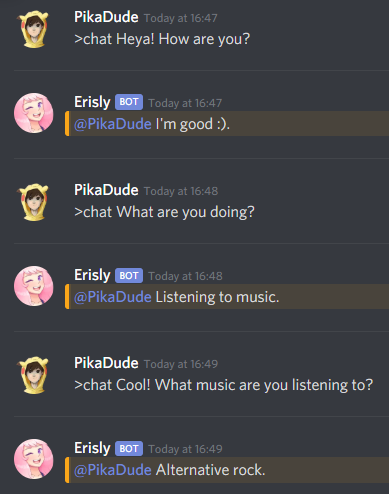 PikaGirl has a fully functional cleverbot command. Talk with her right within in your Discord Server! PikaGirl has a wide variety of meme and image generator commands! Search for images on multiple SFW and NSFW boorus! Full Idle Game & Global Economy! 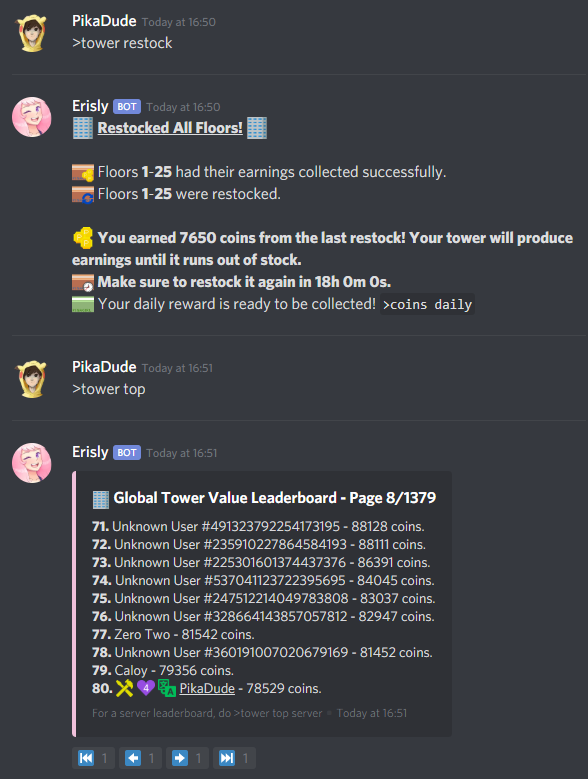 Compete for the most coins against users across Discord! PikaGirl can generate Phoenix Wright Objection GIFs that look just like the real game! PikaGirl can search Giphy and respond with a random gif from your search!